In 2017, peer-to-peer (P2P) platform Robocash started its operations in the European Union (EU). Since then, it attracted more than €4 million. However, this cannot be called a traditional success story of a fintech start-up. The platform works within an international financial group specialised in non-bank lending and attracts funds to a loan-portfolio of its companies according to a model called “peer-to-portfolio”. Automated investments and buyback guarantee appeared to be quite convenient for investors but the most attention is given to hedging of risks by the geographical diversification of the business. A comprehensive IT system and automated scoring developed completely in-house ensure the issuance of standard short-term loans with a high speed of applications processing regardless of varied terms and conditions for borrowers in different countries. The robotic scoring was put to test in Russia first where the technology proved its efficiency what allowed to implement it further in other markets. Although there is an established standard of the provided financial products, when expanding to a new country, the entire scoring system is necessarily adapted to the realities of the market considering legislation requirements and mentality of the local population. Moreover, underwriting algorithms are continuously improved allowing to improve its accuracy and consider any following specifics of a particular market. In that sense, expansion to new markets also helps to improve the overall scoring quality. 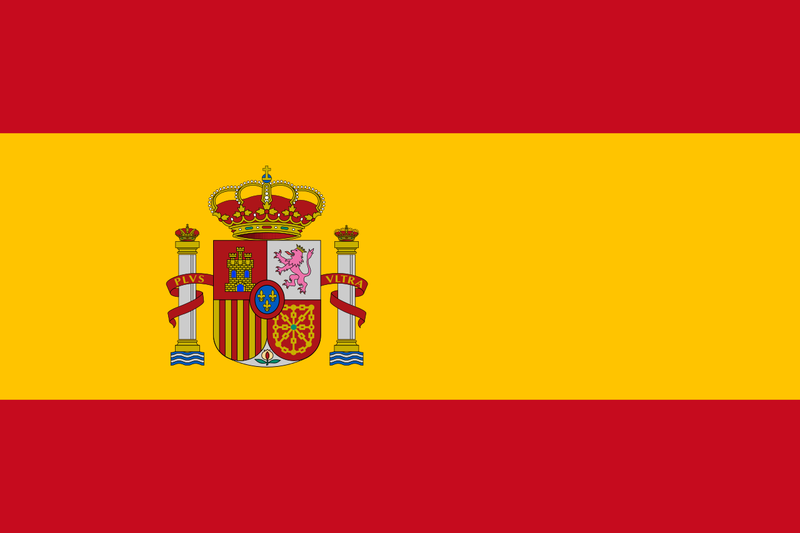 The way of adaptation of the standard financial product to local specifics can be explained by the example of Kazakhstan and Spain, where the group started its international development. The first experience of working in another country was gained in Kazakhstan. This was quite logical since the country is close to Russia geographically, many residents use services of the Russian mobile phone operators and the same social networks. However, we faced a number of unexpected things. One of the main problems in Kazakhstan has been related to fluctuations of the national currency. Like Russia, the country has significant revenues by exporting oil and gas. Two months after the launch of operations in Kazakhstan in June 2015, a significant decline of oil prices on a global scale lead to a 26% drop in the exchange rate of tenge and forced us to urgently adjust the business model due to the increased demand for loans and the cut profit margins from one loan. Another important risk factor is the legislative framework as there is still missing a clear differentiation between various types of lending companies in Kazakhstan. Not all companies are supervised by the National Bank thus creating an imbalance in interest rates and uncertainty in the valuation of the market. The behaviour of borrowers was also often unpredictable. We primarily target the youth and adjust products to their needs. When we just started our work, lending was made through a network of offline branches and our main customers were middle-aged or older women. Later, we found out that it was considered shameful for a young man to ask third parties for a loan since it means that relatives and friends refused to support him. As soon as the online service was launched, we managed to reach the target audience. Today, the average age of borrowers in Kazakhstan is the same as in Russia and equals to 33 years. The correlation between men and women is 55% vs. 45%, while it comprises 60% vs. 40% in Russia. Unexpected were the objectives of some loans. Our surveys found that often borrowers apply for a loan to be able to make a present for a wedding, an anniversary or a childbirth. It seems irrational to take a short-term loan for such an occasion, but for example, guests traditionally give money as a present to the newlyweds thus supporting them to pay off the wedding expenses. One of the positive aspects is the loyalty of borrowers. The short-term lending market in Kazakhstan is highly competitive comprising not only large companies but a number of unofficial loan originators which negatively affect the industry. However, within the whole group, Kazakhstan has the greatest share of repeated clients – 62.7% while Russia shows 61.0% and Spain has 43.2%. When launching the company in Spain a year after Kazakhstan, we applied all the accumulated expertise, so we quite easily managed it in the very beginning. Perhaps, one of the main hurdles at that time was the cautious attitude of local banks to a businessman or businesswoman from Russia. Later, we faced a significant specific of the local market with regard to the protection of consumer rights. In Russia and Kazakhstan, when a dispute arises, customers address the regulatory authority (the Central Bank of Russia and the National Bank of the Republic of Kazakhstan) which supervises the operation of microfinance business and stands as an official referee considering the arguments of both sides. In Spain, there are private organizations protecting consumer rights which act on a par with the state one. ADICAE is one of them which specialises in lending and insurance issues and has considerable authority. However, the national mentality turned out to be the greatest thing which has influenced the business. The Spanish borrowers cannot be called unscrupulous but a habit to procrastinate undermines the repayment discipline. There were times when our support service got requests from people to find out whether they borrowed a loan from us. As a matter of fact, they simply forgot which service they used. As a result, we have the largest average repayment delay of four days in Spain, while in Russia and Kazakhstan it is two days. Another characteristic of the Spanish character is the readiness to entrust personal data and even secret codes if it relieves from a necessity to fill in the form on the website. There were such attempts of borrowers to contact the support team with similar offers which were certainly declined by us. Perhaps, this can be partially explained by age of the Spanish borrowers, which on average is 38 years (in Russia and Kazakhstan – 33 years). Although the imprudence of handling personal data which unfortunately leads to a high level of fraud, the borrowers in Spain prove their conscientiousness. They monitor their credit history, do not hesitate to ask about the reason for rejection and tend to compare offers from different lenders. To sum up, apart from advantages to business the usage and continuous improvement of technologies also contribute to the development of the financial industry in general by attracting investors to it. Experience has proven that the most fears when investing in fintech are usually associated with a probable lack of demand and the consequential losses of any local project. In this sense, the strategic decision to use an automated scoring system allows accumulating expertise in adapting to different terms and conditions and an effective geographical diversification which becomes the key pro for investors and partners. As a result, it is the very case when a comprehensive approach makes the total comprise much more than just a sum of its parts.